Q1) In what ways does your media product use, develop or challenge forms and conventions of real media products? 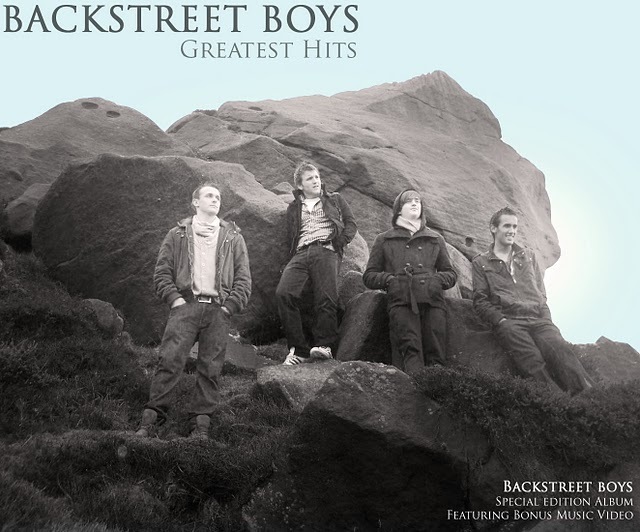 There are several common codes and conventions which typically appear in boy band music videos, and from videos from the 1990's in particular these include slow motion shots, the location is commonly an abandoned space or a deserted landscape such as a cliff top or an industrial warehouse, lots of lip syncing, especially in close up shots, location shots, there is often a female that is being sung about, water is often used, either with shots by the sea/river, dripping off the band members or rain, a lot of focus on the main singer, dance moves repeated throughout the video, black and white shots, and colour combined. 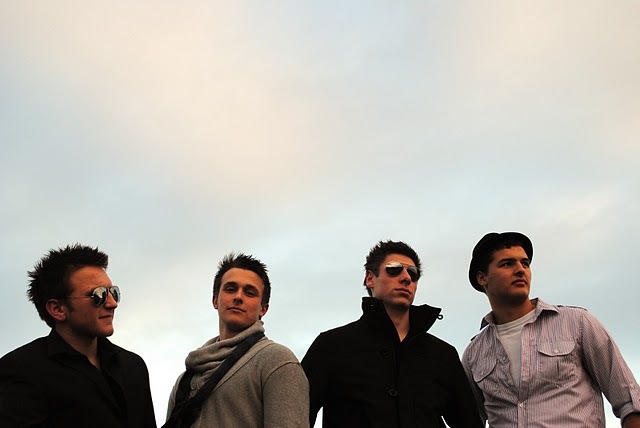 However, boy band music videos from the 1990's are significantly different to modern day boy band music videos, the clothing has obviously changed to suit the western society we live in and the fashion of this era, this including military boots and chinos, but as we were focusing on a band from the 1990's we tried to keep the typical codes and conventions with interpreting some modern day conventions. This widened our audience from not only the fans that grew up with Backstreet Boys but also modern day fans of boy bands. We have used a female in our music video, similar to those used in boy band music videos such as Westlife- Uptown Girl, Boyzone- Baby can I hold you tonight and Boyz 11 Men- I'll make love to you and a more modern example of The Script- For the first time, we have used a similar female as used in these videos, a classy looking very pretty, sweet and innocent girl, that young girls will aspire to be like in the thought that they can then be the admiration of the boy band, she is not necessarily there for the male gaze, but could help widen an audience if a male was to flick past the channel they may keep the music video on if an attractive female is on screen. We have also not put out girl in particularly revealing clothing, more “nice” clothing, such as the floral dress, this is due to our primary audience being young females, and the how feel and mood of the song. 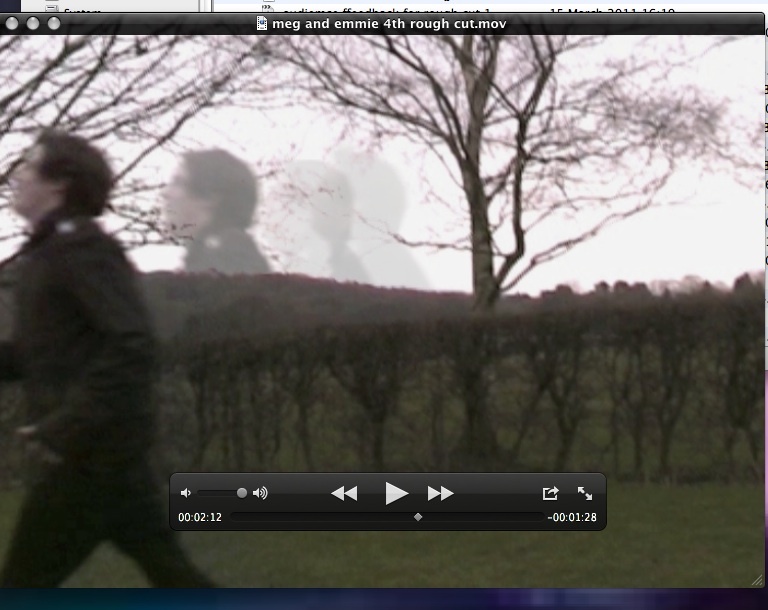 We have developed this concept of using a female by having her as a recurring theme throughout the music video, making it appear that the song is being sung about her. 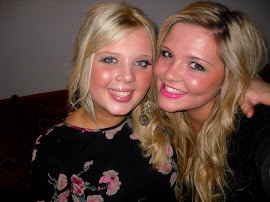 However, in Westlife's song Unbreakable, they have not used one of the member of the band as what is connoted as the females boyfriend, we have challenged this, but still worked with similar cuts back to the female alone and with her boyfriend, and shots of them looking happy together by smiling, laughing and having fun. 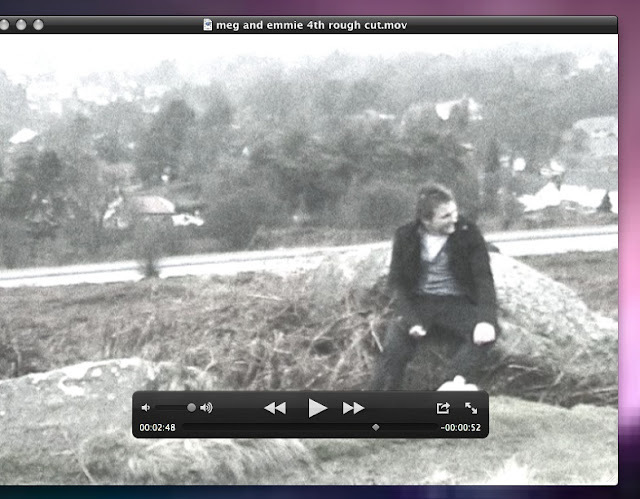 The locations we have used are also similar to existing media products, we have used a “moors” setting as a main theme in our music video, this is a secluded area, and we have positioned the shots to make sure they do look secluded and in a rural setting, this is similar to Take That- Patience and Westlife- What About Now, both modern music videos, showing the rural setting is still used, and it has not completely changed to a more urban setting in videos such as JLS- Everybody In Love. Many boy bands stick to one location, we have challenged this concept by using various locations but referring back to them, for instance our basketball court, the moors, the river, the bridge, the park, the fence and the goal post. 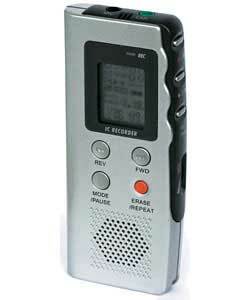 However, some boy bands again such as Boyz 11 Men used this in I'll make love to you. We have also used a river, this again a common convention of boy band music videos, by using some aspect of water tied into the music video, the shots are also similar to Take That- Prey, with single shots of the band members leaning on trees. The river we have used also has a “beach” feel to it, similar to Westlife- Unbreakable, however, we have challenged this idea of a “beach” setting due to the area we live in being more country and rural, it is not a classic “paradise beach” but works well with the other locations. 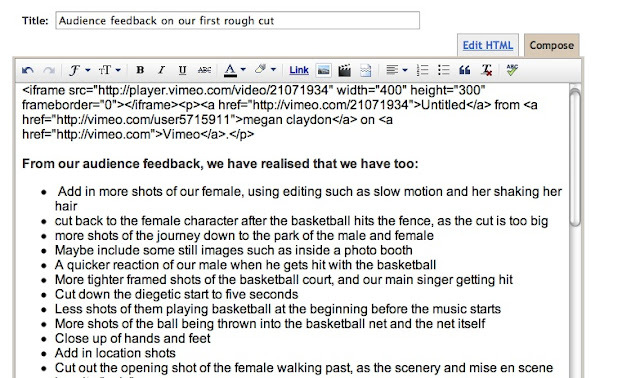 We have also taken the idea of using a basketball court for the beginning of our music video from the original video of our song, with the female walking past and catching the boy band members eyes, this again is used as a diegetic start in the original video like it is in ours however we have challenged this, by having them playing it outside, and not using this as the only setting for our video. We have also made it a proper game of basketball, rather than them just messing around in a “sports hall” there is focus on the ball and the net. We have also gone straight into the lip syncing from this location and after the female has walked past like in the original video. 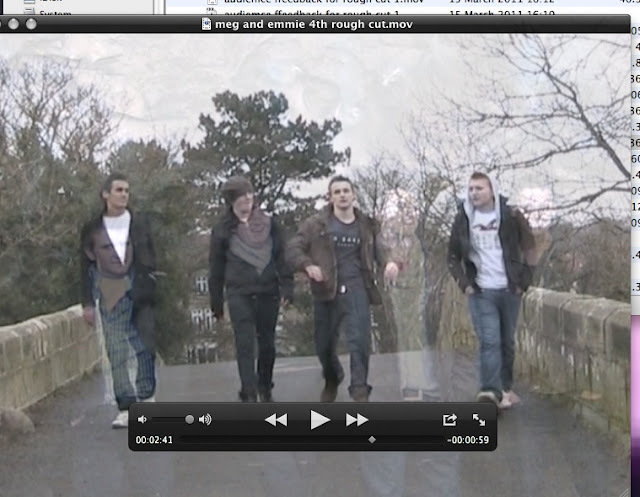 We have also incorporated certain shots into our music video which have been used in other boy band music videos, our specific “side shot of all four members of the band from the side” was also used in the video What About Now by Take That. We have also used shots of the location, such as rocks, as seen in this video. However, we have developed from this video, by using more shots of the whole band rather than single shots. 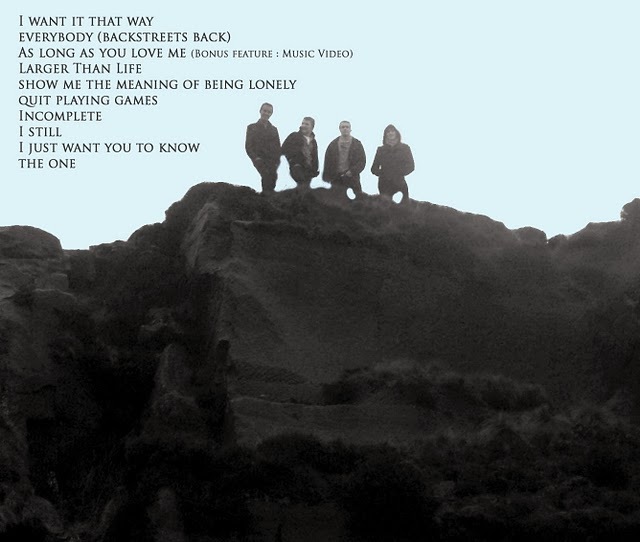 We have also included four shots of our band dancing around on the cliff, as seen in Westlife's What about now, and shots of them far away walking away, again seen in this video. 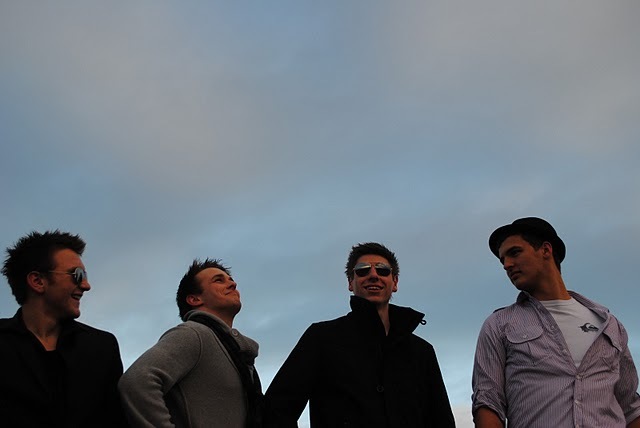 We have used a lot of lip-syncing which is similar to most boy band music videos, including the original for As long as you love me by the Backstreet Boys. It is also used in many modern boy band music videos such as JLS- Everybody in love. This shows that no matter what time period we are in, lip-syncing has carried out throughout, therefore it was important for us to keep to this code and convention, to help the audience know the genre of our music video. Although The Backstreet Boys were a 90’s boy band, however they are making a come back, as they are touring now, we have taken a modern approach to the music video, if we were to use clothes that were seen as fashionable in the 1990’s this would not appeal to modern day society, therefore we have used modern day clothing, seen in recent bands. We took our clothing inspirations from bands such as JLS, The Wanted and One Direction. This includes military boots, chinos, jeans and earring studs. We have also incorporated dance moves into our music video, this again can be found in boy bands from the era of The Backstreet Boys but also modern day boy bands, JLS use a lot of dance routines in their music videos. We have also used “The Christ like gesture” which is commonly used in boy band music videos, including Westlife- Flying without wings and Backstreet Boys- I want it that way. Many boy bands do not use much editing within their music videos, they use continuity editing, it is not too obvious to the audience that editing is being used this is due to them not being very “lively” music videos, it does not fit in with the mood and the feel of the music video. Therefore we have challenged this code and convention by including various editing aspects, such as over lays, fades in and outs, and rewinding actions for instance when they are throwing rocks in the water, however we have conveyed some original editing of original boy band music videos, for instace by using black and white, this can be seen in Boyzone- better and N’sync- Gone. However, we have used both colour and black and white, this is seen in Take That- Prey, this adds dramatic effect, as our shots of our female and our male character are all in black and white, making them stand out, connoting they are an important part of the music video. 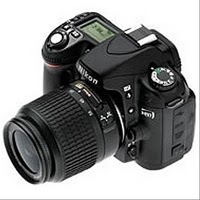 We have also used slow motion, which can be seen in many music videos, especially when it is including a female, to connote her beauty, we have conveyed this in our music video with our shots of our female, such as Westlife- Uptown Girl, however we have challenged this by using other shots in slow motion as well, such as the couple walking through the park. As a last minute decider, some of our shots were not great focus, and looked like back stage footage, of the band laughing, therefore we have edited these, by de-saturating the clips to connote they are back stage footage, this can be seen in Guns N Roses- Sweet Child O’ Mine, however we have challenged this idea, by not using it all the way throughout the music video, simply using it in the last chorus, spreading them apart. Untitled from megan claydon on Vimeo. Digipak's are a recyclable form of C.D packaging, they are usually used for limited edition items, like for instance what we have done, with the special feature of our music video. A digipak has a front cover, a back cover, and then depending on how many compartments you need for the inside, there is various templates. 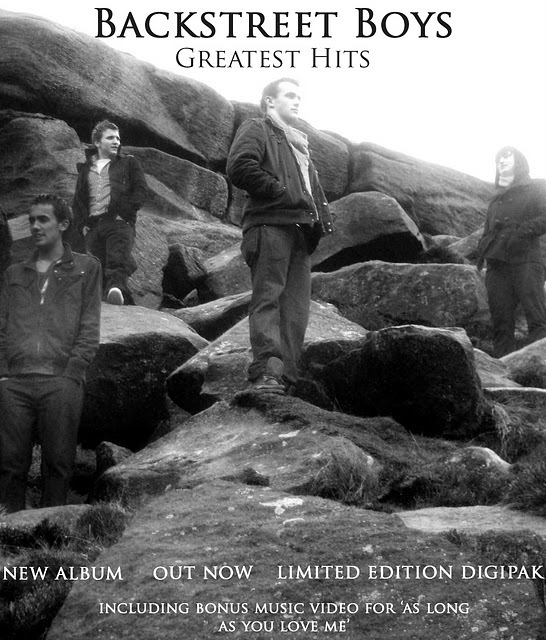 There is a gatefold, commonly containing the title of the band and the album. The front cover usually contains an image, or a piece of art, for instance cartoons on the front cover, representing the named band/ artist. It will also usually have the album name and the title of the band/artist. 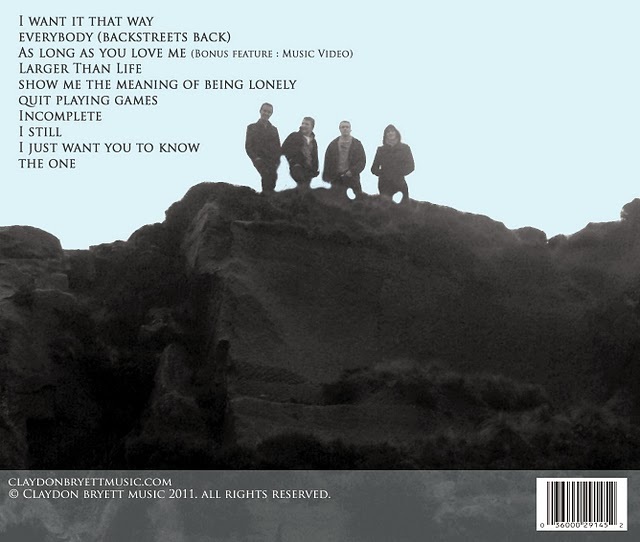 The back usually as well contains an image, or just a plain cover, as it is the front that stands out the most, however the theme is usually consistent throughout the digipak. The back also contains the track list, a bar code, copy right information, a website, on the inside front cover, there is a lot of writing about the production team, everything that has helped towards the album. They also have their own band logo. Within our genre, through research, we found it was essential to include a image of the band on the front of the digipak, so this is what we did, a plain image, but stands out, we found similar images for Westlife's album Gravity or Backstreet Boys album Millennium. The band name is also very bold, we also noticed that a lot of bands of our genre also use black and white, therefore we have followed these conventions, however we have challenged this by using a blue colour for our sky, rather than keeping it all black and white, making the image of our band stand out more. 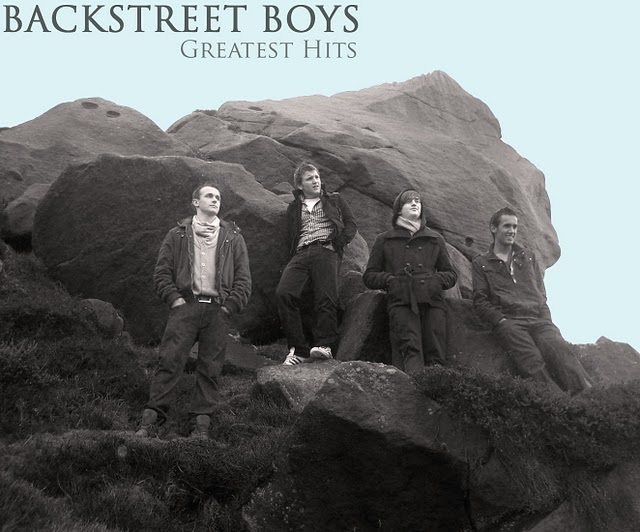 This is similar to Westlife's first album "Westlife." The clothing is also keeping in theme with our music video, we have also used an image from our actual music video on the back of the digipak, tying our products together, but also leaving a narrative enigma for what the music video will contain. Rather than using a plain background for the back of our digipak, we used a second image, this can be seen in various boy band albums, again Westlife- Gravity, Westlife- Back Home, Blue- Guilty. Blue was more of a 90's band, where as these Westlife albums are quite recent, showing a boy band convention that has been kept throughout time, again helping us appeal to our audience of young females but also people that may of listened to the band back in the 90's. The magazine that we decided to release our adverts in was Q, a music magazine released monthly, containing artists from all genres. And it is a very popular magazine. Take That were recently advertised in this magazine, making it perfect for our target audience. 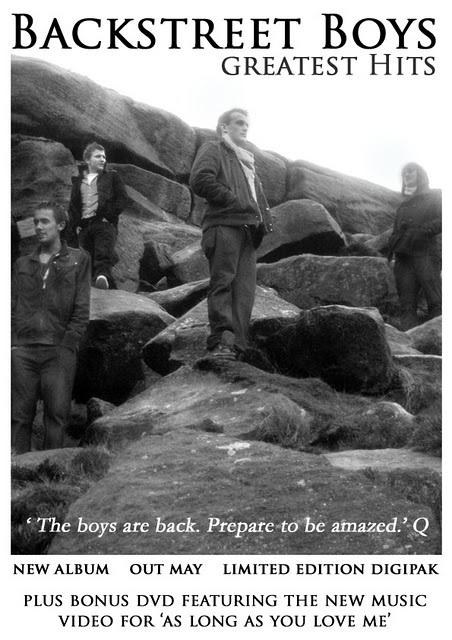 By looking at many magazine adverts inside Q magazine, we realised that many of them have a quote from Q magazine itself, therefore we used this for our magazine advert too. This makes people more likely to buy the album as if you are a consumer of Q magazine you will trust their opinion or you wouldn't invest in their magazine. We also noticed that many adverts contain the name of the band, the album name and when it released, therefore we too have included these key features. We also mentioned the bonus feature music video. It is rare to find boy band adverts, this may be because they are a band from the 90's, especially from our specific genre, however you do get advertisements on things such as billboards, many d not actually release adverts, they may just do interviews, with gossip magazines such as "OK."
We have kept our magazine advert in line with our other products, especially our digipak, by keeping the images in black and white and again using shots that are featured in our music video, this drawing all our products in together. We made a few examples, however from our audience feedback it turned out that both were liked as much as each other, therefore we kept both adverts, using one as a teaser poster, leaving a narrative enigma, and our other as our actual advert, with all the details of our digipak on. To then show our Photoshop skills, we cut out the members and placed them on a background image, this again was liked by our audience, so we used this as a second teaser trailer. Therefore, we have challenged music adverts, as it is not often that artists will release more than one advert. Q2) How effective is the combination of your main product and ancilary texts? In the actual music industry, separate companies would be responsible for each individual one of these products, one company wouldn't manufacture all three. For the actual music video, a company such as Lightengine Films, in which they specialise in innovative, affordable, high quality music video production for both record companies and unsigned, self-funded artists, covering all styles of music from Hip Hop to Rock/ Indie to Bhangra. First they ask you to send them the track you want the music video to be produced for, and any ideas or storyboards you may have. They will then arrange to get in touch with you in some way, whether it be on the phone or in person, and talk about locations and final budget. You then establish a budget, an essential aspect as it will decide what your video can in fact contain, and what will be possible to use. Generally speaking the higher the budget the better quality the music video will be. They will then arrange the shoot, and take a deposit of 50%. The shoot will then take place, Lightengine promise a fun, vibrant shoot ensuring everyone is at their most creative. After the shoot, a rough edit will be produced with a time code, you can preview this over YouTube, allowing you to have a say, giving feedback and having an input on the editing process, this will happen over many more edits, depending on budget, untill the final cut is signed and agreed upon. 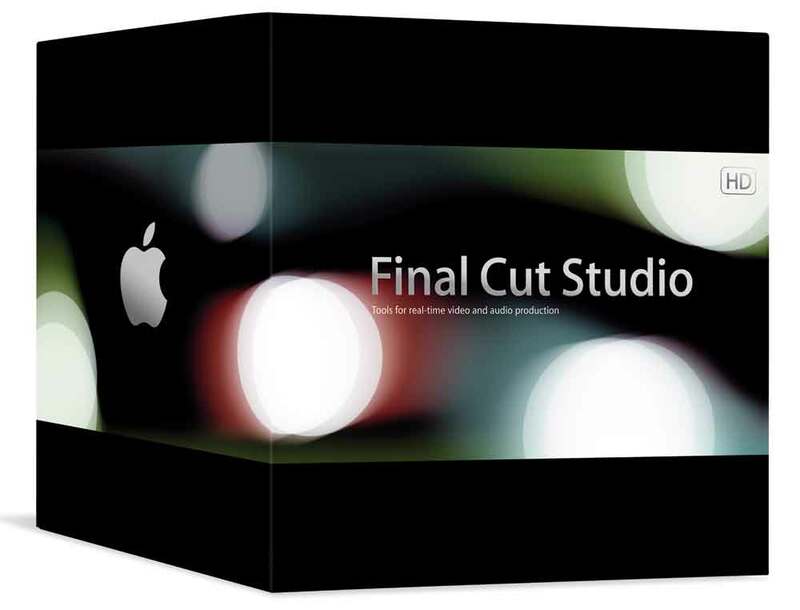 They then ask for the remainder of the cost, once this is received they release the master on DVCAM tape, data disc and DVD, other formats are available at an extra cost. 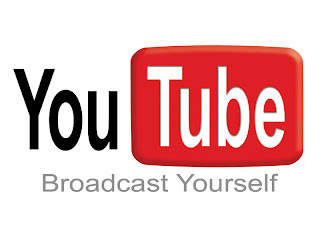 They also help you with file conversions for internet streaming, with sites such as YouTube. They can then help you with submitting your video for TV airplay and offer advice on maximizing your hit rate on sites such as YouTube and Vimeo, both video sharing websites we have used throughout the coursework, this helps your music video be seen and recognised. Digipaks are a style of CD or DVD packaging, they typically consist of a gatefold (book-style) paperboard or card stock outer binding, with one or more plastic trays capable of holding a CD or DVD attached to the inside. A company such as Wewow, would produce the digipak. Again, like with the production of the music video, an artist will go to the company with a general idea for the digipak and a budget, allowing the company to produce something ideal for the artist/s. 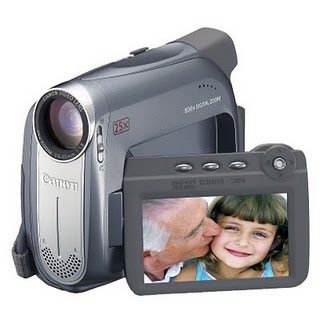 video C.D'S such as what we are putting our music video on, are becoming increasingly popular. Again Wewow can help you advertise with your product, especially as they shift a lot to Amazon. 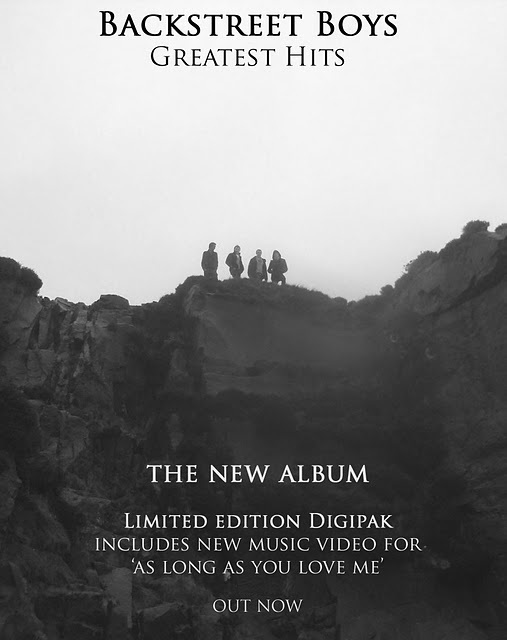 Magazine adverts are essential in promoting the other two products, they can promote the music video and the digipak, and also promote them as a pair as our digipak contains the bonus feature music video. Magazine advertisements get the name and what they are advertising known, and essentially buy someone buying the magazine they are buying the advert, even if they have no interest in the advertisement, making it be discussed and getting people talking. Magazines are great in advertising things such as this, as many magazines are kept around the home, shared between friends and colleagues, kept in doctor and dentist waiting rooms, hairdressers, meaning the advertisement could be viewed months after releasing it, giving press to the artist/s. Also magazines tend to be kept by the consumer for a while, they will not necessarily read it all at once, but will make sure they read all of it, unlike newspapers, making it highly likely that the advert will be seen. A company that may produce the advert, could be Design INC. This showing that the production of all three products is completely separate, and you would approach different companies for each item, this could mean that none of the three are linked. However, due to many of these companies asking for a brief synopsis of what you are wanting, it would be of high benefit for the artist/s to keep all of them in line with each other, this making them easily recognisable, for instance if the magazine advert is similar to the digipak you will instantly know what to look for if you are interested in buying the digipak, or vice versa, if you have seen the digipak on shelf's, you will know instantly what the advert is advertising. It also gives the audience a "sneak preview" of what the music video will contain, especially if you use images that have been used in the video. It is ideal to have a recurring theme throughout the products, tying them in together. This is exactly what we have done, we have used the same location in all three, making them easily recognisable by the target audience. We have used a rural setting, again tying in with the genre of the band, often used for other boy bands, and making these look visually attractive. 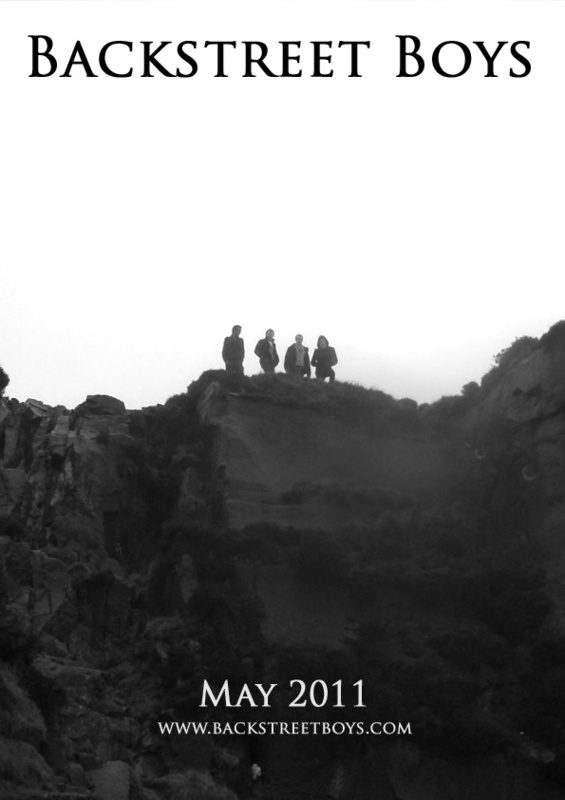 Not only have we kept the front and back images of the digipak in line with out other products, we have kept the inside sleeves as well, using location shots of where some of the footage for our music video was filmed. Our products all work very nicely together, and even just through audience feedback, it has shown that they have also noticed how well they all tie in together. This shows that if it appeals to our target audience and our primary consumers, the products have effectively combined together, the recurring themes have been noticed throughout, widening the popularity of our products and getting them well known. 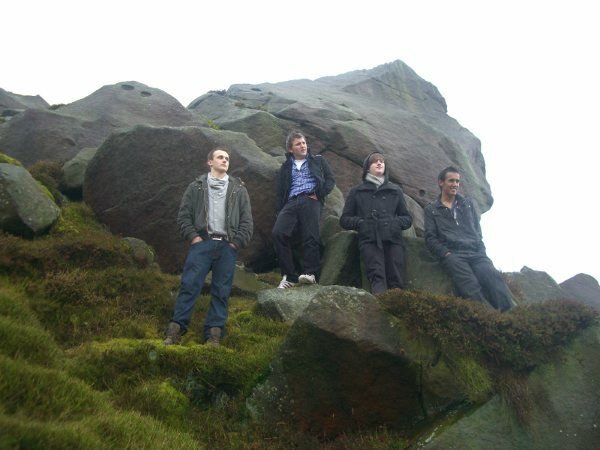 Paula Chatterjee (17 years old): She also agreed that this one was the better one to use for a magazine advert, she liked the positioning of the members of the bands, all looking in different directions, showing their personality traits within the band, the framing of the shot is really well, as all you can see are the rocks and the sky, using the location from the video very well, it ties in all together. Robbie Oldham (17 years old): Again thought this was better for the advert, but make the sky more blue as this will also make the band stand out more. Experiment with where you put the text, you could have it all in the sky or all on the rock. 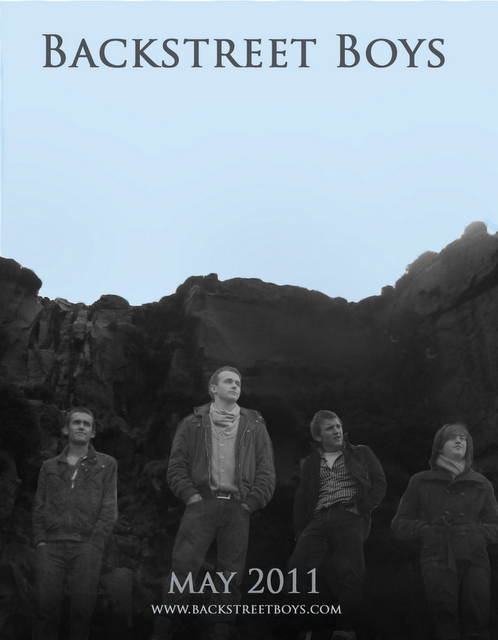 The framing is perfect, as you just have the rocks, the band and the sky, although the band do not stand out as well. This also links in with the music video, as this shot is actually used in the video. Also due to audience feedback, we decided to release all three of our magazine adverts, these all work well together, as they start of with the first one being a teaser, leaving a lot to the imagination, and having very little information, this will get people talking about what the advert is for, again increasing hits on the website, so making the band more popular itself, the second advert, then works well, as it provides a bit more information, as you can actually see the faces, and the third obviously has all the information needed on it, the two adverts build up to the third one, leaving a narrative enigma and leaving the audience, especially fans of The Backstreet Boys in suspense, and also making them buy the magazine that the advert was released in so they can find out more. Also due to the images that are used in the adverts, being all from the same location, this also makes the viewers think there is something important about this location, and when they again see the digipak using this location, they will want to know more, and then they will realise that it is one of the main locations used in our music video. Q3) What have you learned from your audience feedback? Firstly we had to define whom our target audience was going to be. We suspected our primary target audience would be young females, from the age of about 8-14, as this is usually boy bands main consumer, however, we thought it may also appeal to older females, for instance 14-24, due to them being a 90's band, they remember the track from their childhood. Therefore, to prove this, we did a vodcast, on a variety of people, and asked them a number of questions, this was to find out who our vodcast would appeal too, and how to widen the audience if we could. From this, we found that our predictions were correct, and that out target audience is going to be people that were born in the 1990's, from 12 to 28. Target Audience. 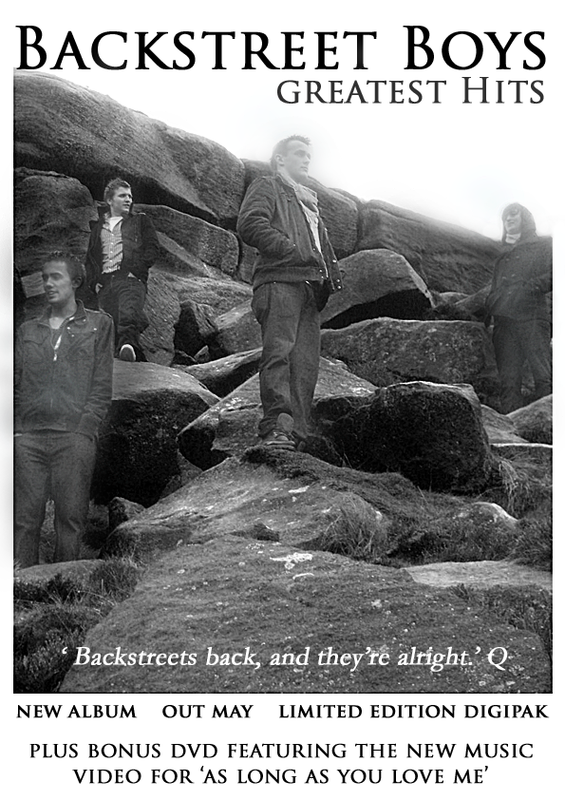 From our research, we found that Backstreet Boys did not seem to have the same influence on people, in the way Westlife and Take That did, therefore restricting our older audience, however it helped us find ways in attracting our target audience, for instance by adding a modern touch to the band, for instance wearing fashionable clothing and using attractive band members, also finding out what is good in a boy band music video was highly essential, as these are the people we are trying to target at, this may also help bring in teenage boys, who can relate to the band. Also using, young, attractive, males, may draw in the "pink pound theory". As we are catering to homosexual customers. And using an attractive female can draw in the "male gaze." A theory by Laura Mulvey, In which we are using attractive female in our music video, she is the object of desire, and is being used for visual pleasure. This may widen the audience of the music video. YouTube is a great site for sharing videos, allowing easy access, however, not many people commented on our actual YouTube video, although YouTube did enable us to embed the link to our music video on our facebook, rather than actually uploading it to facebook, and people could comment on the link on facebook, this maybe why there was less comments on the YouTube account. 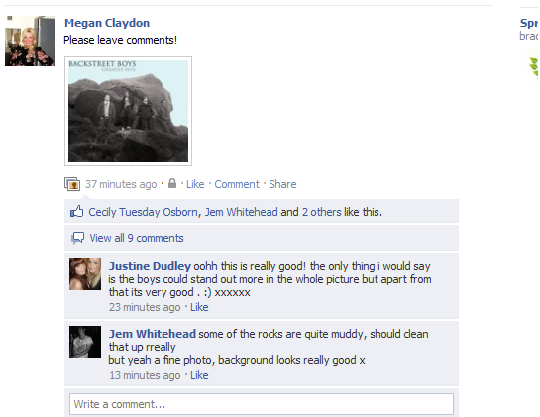 Facebook allowed us to gain audience feedback from a range of people, but mainly people of our age, which were an age in our target audience, however due to the people on facebook being our friends, they were not always commenting on how to improve our music video, but on aspects such as the band members, they did not criticise. 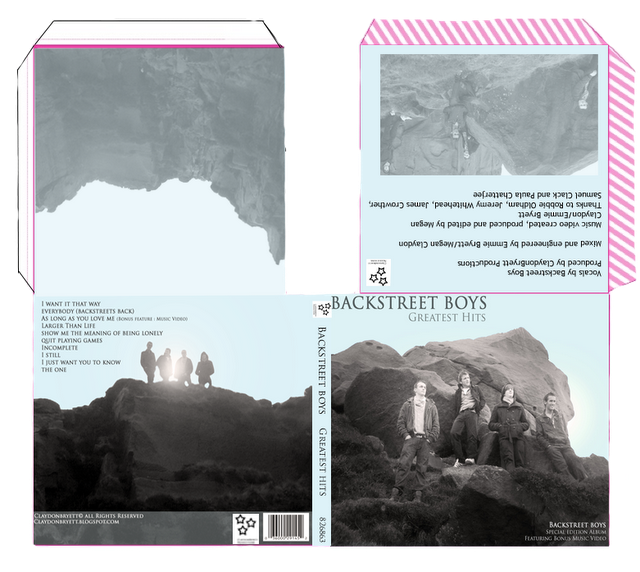 However, to overcome this, for our digipak images, we uploaded to the actual Backstreet Boys fan page on facebook, this was ideal, as they are obviously fans of the band, therefore our main target audience. It was highly beneficial getting audience feedback from other media students, as they have the knowledge and experience to help you improve, and are more likely to criticise, as in the long run this makes the end result a better one. 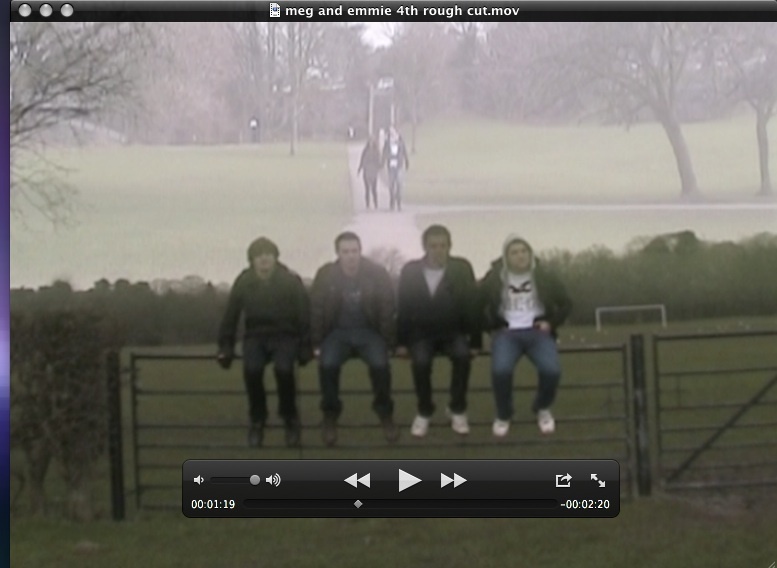 In total we made 5 rough cuts, un till we felt happy with the final thing. This got 163 views on YouTube, and two comments. This was obviously not enough, therefore we screened it to available members of our class, other students in our year and our teacher. Cut out the opening shot of the female walking past, as the scenery and mise en scene is quite "ugly"
This time, it only got 58 views on YouTube, showing people were watching it, but not as many, therefore we should of maybe "promoted" it a bit more. This gaining 68 views on YouTube. However, from our audience feedback it was clear there was still room for improvement, but we realised by this point, that we were definitely heading in the right direction, and it was more about editing techniques, and last minute tweaks, showing we were nearing towards our final cut. This gaining 98 views on YouTube, and two comments, it also seemed to have a more positive reaction from facebook users, with very little criticism, showing we were definitely again near our final product. We did gain some audience feedback on our actual blog, from a fellow media student, which shows the benefits of blogger. However, from this we realised that a lot of our feedback was just saying that they like the images, rather than how to improve upon it, therefore we uploaded the images to The Backstreet Boys fanpage on Facebook, this was beneficial as these would be the actual consumers, another thing with Facebook is that there is a "like" button, this is obviously showing that they like the images, however it does not indicate why. We also asked an art student, and a male of our age range, to look at the images and help us improve, as this gave a more "professional outlook." From our audience feedback, we found that these three all work together, releasing them at different times, the one where you cannot see the band will be the first, followed by the one with the band at the front of the image, and then the one with the information on, leaving a narrative enigma. Also through feedback, we added in a URL, as this is what most adverts contain, where you can gather more information, and we also added in a Q quote, this was the magazine we were releasing our adverts in, and this is what most adverts in the magazine contained. We did receive less audience feedback on our ancillary texts, this was due to them being less time consuming, and only a certain amount of things we could change, also what we had produced was liked by our target audience, however, if we were to do of done it again, we would of tried to get a wider audience feedback from different age ranges for them. Audience feedback was essential in producing products that were liked by our target audience, and gaining other peoples points of views on how to improve, not just our own, as it will be them that we would of been selling the products too. Q4) How did you use new media technologies in the construction and research, planning and evaluation stages? In the research and planning stage I used many new media technologies, many of which were internet based. To record our research and planning, and our steps to our final products, I made a blog. This is an online portfolio, accessible both at home and school, allowing you to present all stages of the coursework. It is easily accessible, and can be found by certain google searches, therefore widening the audience of who will view your blog, allowing you to gain more audience feedback. This also means that it is easily accessible to my teacher and peers, again helping gain audience feedback, which is useful for improving your products, and making sure you are suiting your target audience. As I also worked in a group, with Emmie Bryett, it meant that we could keep up to date with each others work, which was useful as you can also share blog posts, saving you time, as long as we titled the post with each others initials, we could share our posts. This saved a lot of time. Another bonus of blogger, is that you can embed videos into the blog, such as from You Tube or Vimeo, therefore the videos can be viewed on the blog, rather than having to follow a link, again saving time for people viewing the blog, especially if it is to gain audience feedback. 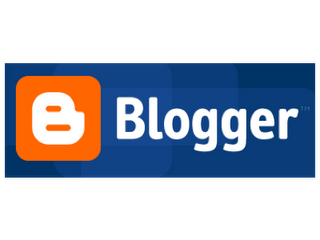 Another bonus feature of Blogger, is that you can add hyperlinks, taking you to certain websites, this was particularly useful if some videos would not embed, but also to show a range of wider reading, for instance links to articles on boy bands, this shows evidence to what you are saying, using various sources and that you have fully researched what you are talking about. The internet is also a vital source for information on music today, therefore providing these links shows clear evidence to show information. This can include links to bands websites for instance, or vital websites, such as The Guardian online, which contains a great music segment. 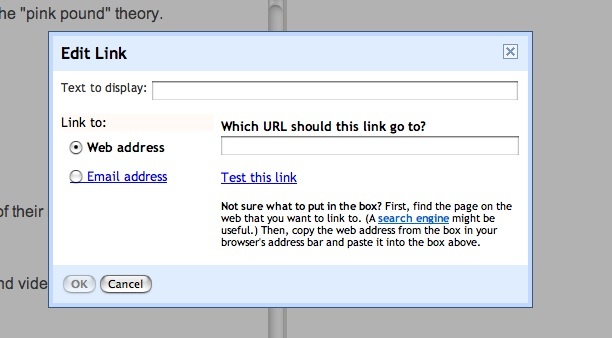 You do this by clicking the "link" icon at the top of the page and copy and pasting the link into the box. 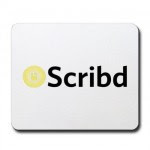 Another internet based technology I used for the research and planning stage was Scribd. Scribd is a social publishing site, where you can share writings and documents. Scribd was extremely useful for our research and planning stage, as it meant we could upload word documents, for instance our call sheets, story boards and our treatment, all of which we could not do straight onto blog, as they were hand written, so we scanned them in, uploaded them onto Scribd and then embedded the code onto blogger. Another bonus of this is that when you click on the embedded image it takes you to a full size of the document, making it easily viewable. It also means that you can do documents in microsoft word, such as our treatment, edit it and then upload it once it is completed. This is also useful for the environment, meaning that you are not having to print off loads of sheets, you can upload them onto Scribd, rather than having to print them off and scan them in. Blogger as a whole is environmentally friendly, meaning you do not have to print off all these word documents, you can put things straight onto your blog. 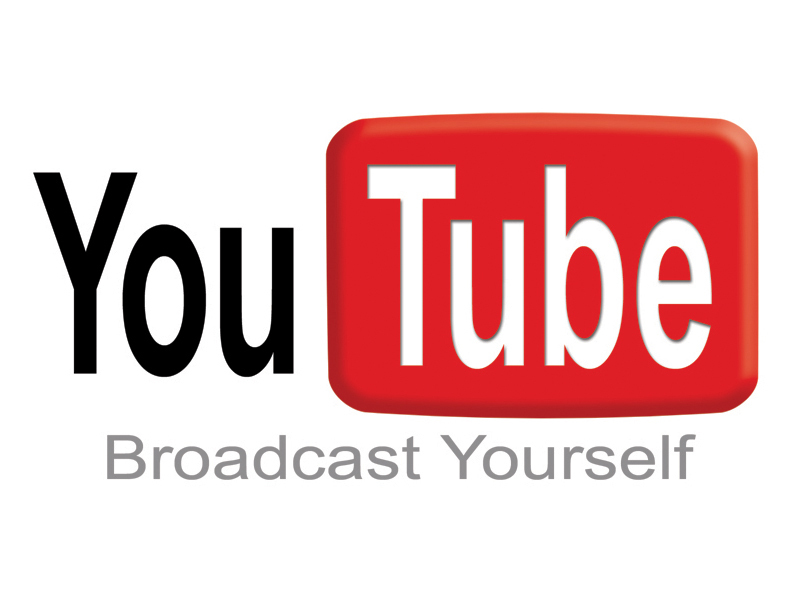 YouTube was essential in our research and planning, you can watch, share and upload videos. Not only did YouTube allow us to watch existing music videos, and find out the key components of music videos and ones for our specific genre, it also allowed us to upload things and then embed it onto our blog, for instance videos on items such as "target audience." This allowing people to comment your videos, gaining audience feedback. We also subscribed to the IGS YouTube channel, allowing us, and our class mates to watch our work. However, the downfall of YouTube is that it is not accessible at school, therefore we used Vimeo for our videos that we used within school. Another online website where you can publish your videos. You embed the code onto blogger, once you have uploaded your video, allowing them to be viewed on your blog and not to have to follow a link to another website, saving time and making the blog more visually appealing. 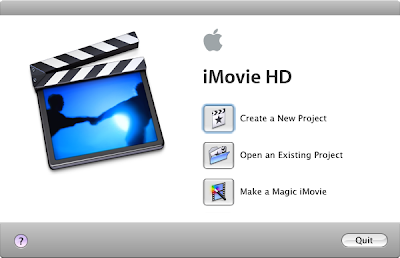 To produce these vodcasts, we used iMovie, a video editing software for Mac computers. As iMovie was the software we used to edit our films last year, we were very familiar with it, it allowed us to edit our clips, creating our vodcasts, for instance our vodcast for our target audience. You can also extract audio, allowing you to place it over other images, such as the image you are talking about. You can then export the video, and upload to a video uploading site and embed into your blog post. You can also add titles onto it, so you can show what the vodcast is going to be about, and you can overlay titles on clips, if you want to make things clear. Muzu allows you too watch official music videos, documentaries, TV shows, interviews, behind the scenes and tutorials. This was useful, as stated earlier, YouTube is blocked in school, so this allowed us to view music videos in school, whether it be for inspiration, or to see the codes and conventions of them. Using original music videos, you could get ideas for things such as clothing, mise-en-scene, common codes and conventions for your specific genre. 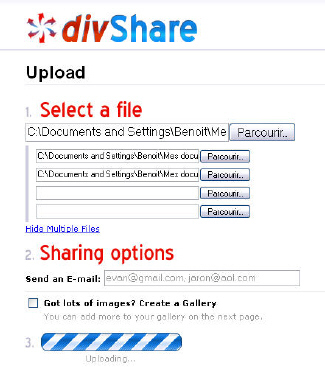 Another online technology we used was http://www.divshare.com/, again a website for uploading files, we mainly used this for podcasts, in which we used a voice recorder, this is useful, as it makes your blog include a range of media technologies, makes it more visually appealing and it also means that there is not too much writing that can be seen as "boring." You again, upload these files from the voice recorder onto the computer, convert it to a MP3 file, upload to divshare and embed the code, making it appear on your blog post, again meaning it is easily accessible, all you have to do is click to make it play. It is a way of connecting with viewers of the blog, our teacher and examiners. Many of the technologies listed above were also used in the construction stages, but for different purposes. Our main construction technology was Final Cut, this is a more advanced editing technology than iMovie, which we used last year. It shows the progression we have made since last year. It can be edited, processed and output to a wide variety of formats. Final cut has allowed us to use a lot more editing techniques than iMovie. The ones that we used in our music video were slow motion, "rewinding" actions, over lays, using black and white as well as colour, speeding clips up, changing the brightness and contrast of clips, adding transitions between shots, de-saturating clips, ghosting and changing the filter colour. To save time, we actually created a basic timeline of clips on iMovie, and then imported these onto Final Cut, and edited them on there. It gives us a much better final product, and makes it a lot more professional, in 2007, Final cut made up 49% of the US professional editing marketing, showing its professionalism. To actually produce this footage, we used a Canon MV920 Digital camcorder, this was the same as last year, so therefore it was very simple for us to use, this was beneficial as it made footage easy to get, however, we would say this is one of the weaknesses in our product as a whole, had we used a HD camera, the footage would be better quality. This would of been better for us, especially as some of the shots we took were when it was raining, this would make it have a better focus, and some of our footage we produced it to look like back scene footage due to the quality, had we used a HD camera, we may not of had to do this. We also used a tri-pod for the majority of our shots, this was to make sure the shots were steady and tightly framed, this was especially important for shots of our band dancing, otherwise they would look "jerky." 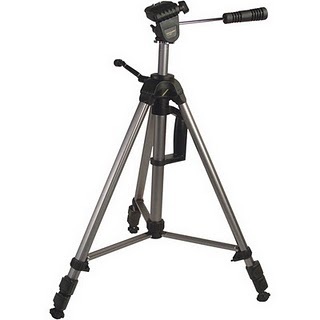 Again, we used a tri-pod last year, so it was easy for us to use. However, it was not just physical equipment that was important in the construction stage, again we used online technologies. Facebook, allowed us to gain audience feedback, which is needed for improving our products, it also allowed us to publish our files on "The Backstreet Boys fan page" which will be our primary audience, as we are trying to attract them. This allowed us to know what people liked, what was good and what needed improving on. 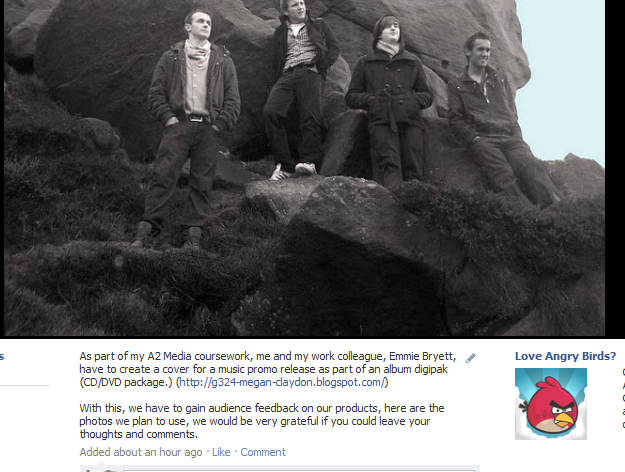 It also allows people to comment on our footage or our adverts and digipak, which is easily obtainable audience feedback. However, as we could not upload our video directly to facebook, we uploaded it to YouTube and then pasted the link to facebook, allowing us to get feedback from facebook but also on our YouTube video. This is an easy way of gaining audience feedback from a variety of people, and as they are our friends they were willing to tell us the complete truth and they knew we would benefit from it. To create our digipak and magazine adverts we used Photoshop, with many thanks to my group member Emmie, as she had background knowledge of the software, she mainly produced these products. Photoshop allowed us to edit images, to make the quality better, we also edited our images to black and white. It also allowed us to add text, in different fonts, sizes and colours. We could also edit the members of the band in our pictures to make them stand out more. It also allowed us to show a variety of skills, for instance with the advert above, we cut out the images of our band members from another image, and placed them on top of the background image, this being a seperate layer. We could experiment with different colours. For instance we tried this magazine advert with a blue sky, but from audience feedback realised that black and white was preferred and kept all three magazine adverts in sync with one another. And then add images to each sleeve of the net, we could also add text on top of the image, this was useful as it meant we could create a realistic digipak, with information including items such as a bar code, track list, production logo and "with thanks too." 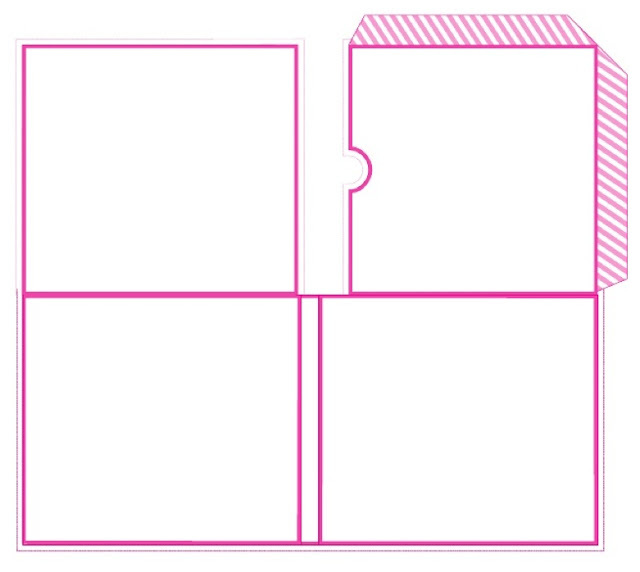 To print our digipak, we used card, like a real digipak, and used an A3 picture, this allowed us to print on card. We then used a trimmer knife to trim it down and used glue, actually creating the digipak allowed us to ensure it was of the right size and that everything was wear it is meant to be. To gain our images, we took photos on shoot. Before we had to change our cast members, we used an SLR camera, a very high quality and focus camera with great results. Here are some of the images we produced. However, due to changing two cast members, as explained previously in the blog, we unfortunately could not use these images. We just used an ordinary camera, in which we thought that this would pull us down, as the images would not be as strong and high quality. But after editing the images in Photoshop, they turned out well, and we were happy with them. -added more text to the bottom in white. Many as said above were also used in the evaluation stage, as this is tying the whole coursework together. Again I used iMovie, to create vodcasts, these are beneficial as they are more appealing, and easier to watch and listen than to read large chunks of writing, they are also more attractive, again I used vimeo to upload these too as they were created in school, I then embedded the code in the blog post, which is ideal as they are there in front of you, there is no hassle in finding it. Another useful resource on the computer is the print screen button, to show evidence of what I have done I have print screened various images, from the actual websites, the software and our final video, this is to also show exactly what I mean and make my blog more visually appealing. Out of these who is your favourite boy band?